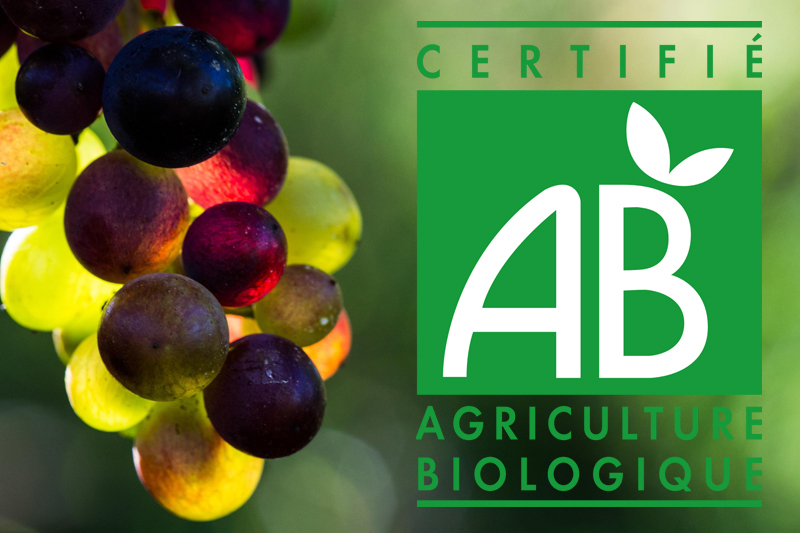 Right from the start, we have been committed to organic farming practices involving no use of chemicals. 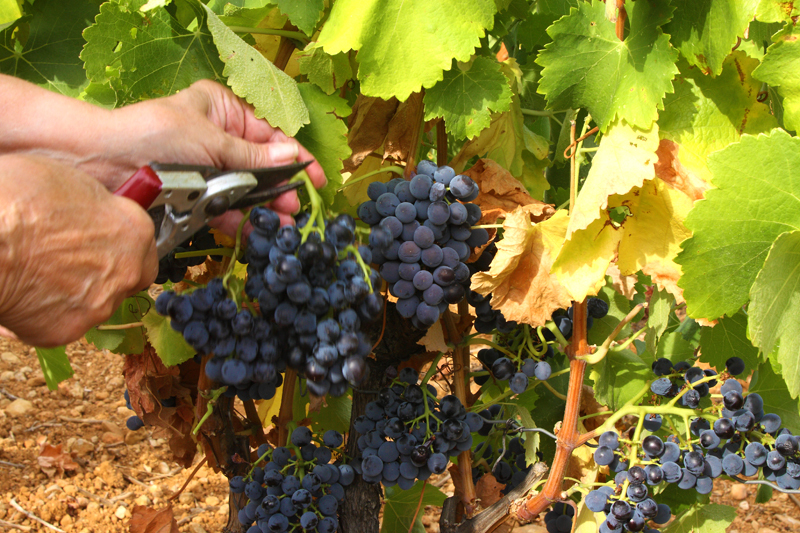 The environmental conditions in the estate are ideal for a natural and organic viticulture. 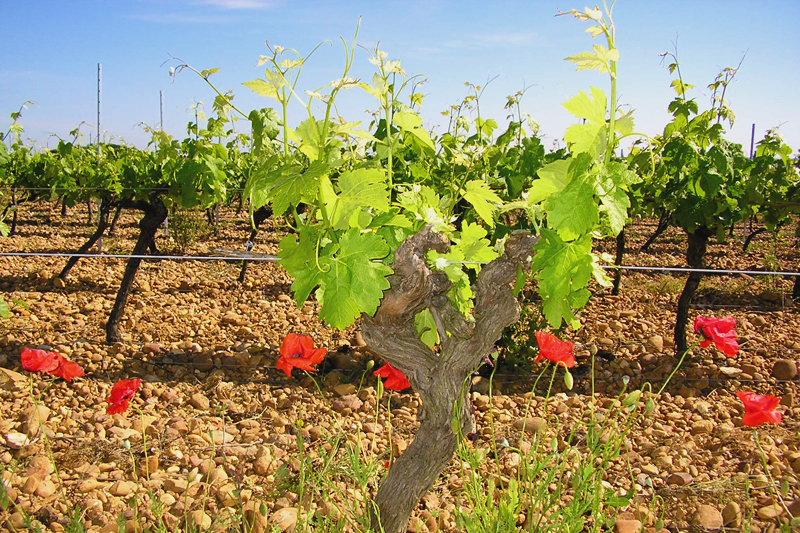 Our vines are surrounded by trees, groves and undergrowth, wastelands without any monoculture around. This environment is bringing an extraordinary richness of the biodiversity. That is also why the organic conversion in 2010 was without any problems and without big changes. 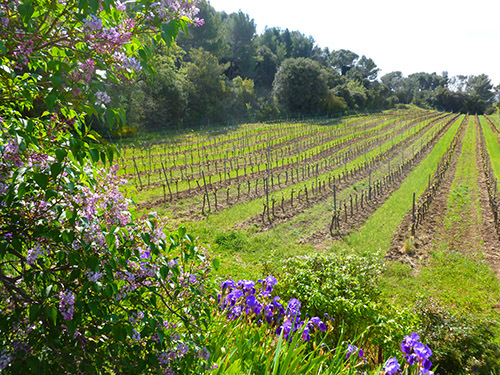 Since 1995, we have planted our vineyards with clover to prevent soil erosion and preserve our unique microclimate. 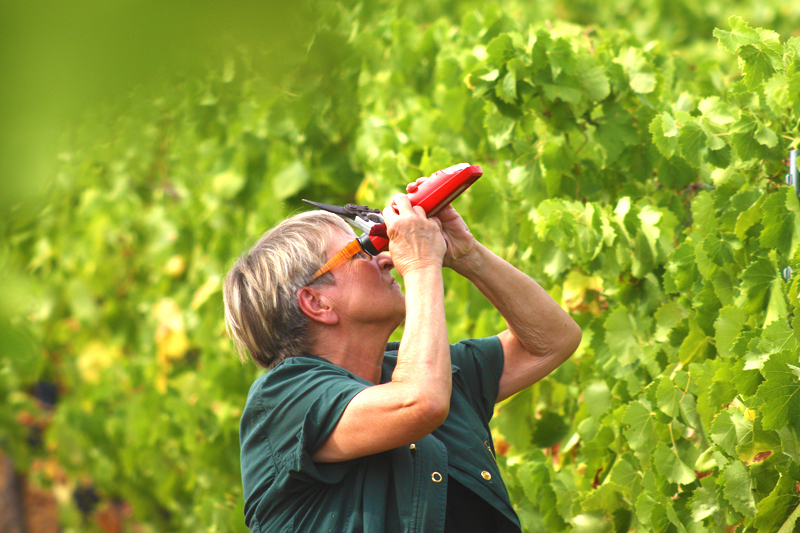 Rigorous compliance with organic viticulture standards is a key priority. 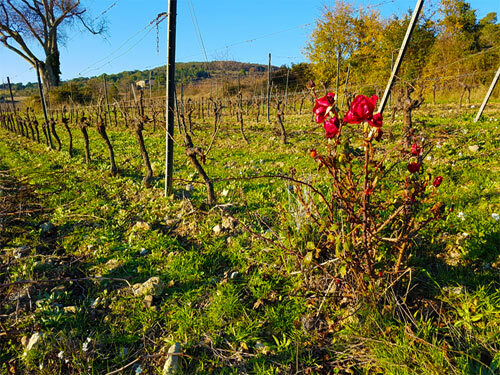 To improve the health of our calcareous clay soils, we give them a boost with a special “homemade” compost (manure, straw and decomposed marc) every three years. 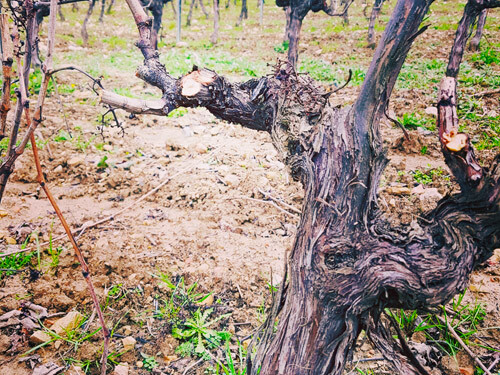 All wines are pruned using the Guyot method (short pruning). Yield is relatively low and varies from 25 to 40 hl/ha depending on variety.